NAMED after Queen Isabela II of Spain, the province of Isabela is known as the largest corn producer in the country. Most of the corn is harvested and sold to feed millers who, in turn, sell the feeds to poultry and livestock growers. Isabela is also a major rice-production area, and known as the Rice Granary of the North. Aside from being known for its agricultural commodities, Isabela is also trying to style itself as a tourism destination, recently highlighting a scarecrow festival called “Bambanti,” in gratitude of good harvests; and promoting its historic churches, beaches, and extreme adventure activities. 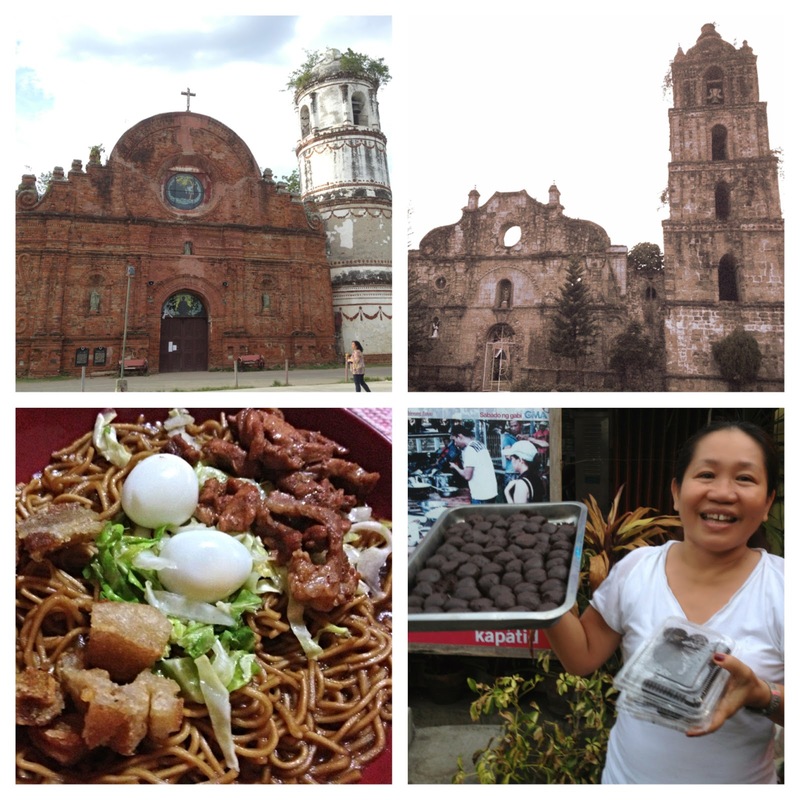 Isabela is also home to the delicious Pancit Cabagan, made of miki, with hardboiled quail eggs, mixed vegetables, and topped with lechon carajay (Lechon kawali) and sliced red onions providing the crunch and spice. One taste and you will wonder where it’s been all your life. One of the most popular tourist destinations in the province is the Saint Matthias Parish Church in the town of Tumauini, built in 1783. Made of red brick, its façade features headless statues of saints. To its right, its bell tower stands out like a white four-layered wedding cake, with piped red frosting. The church was closed when I visited it with friends last week but it was a truly impressive structure with its red bricks used as ornamental decoration, not just to build the structure itself. Another church not to be missed is the San Pablo Church in the town of San Pablo. Work appears to be ongoing to restore the church, which was originally made of adobe and soft stone. Built in 1624, it is said to be the oldest in Isabela, and its belfry reputed to be the tallest in the entire Cagayan Valley. For more history, take a trip to Palanan where Gen. Emilio Aguinaldo surrendered to the American forces in March 1901, thus ending the Philippine Revolution. On the supposed site where the first Philippines President was captured now stands the Aguinaldo Shrine. Palanan also has a number of white-sand beaches with crystal-clear waters (Culasi Beach, Kanaipang Beach and Dicotcotan Beach), as well as waterfalls ideal for swimming and picnics (Dicarangayan Falls, Diminalno Falls, Disadsad Falls and Sisangkilan Falls). There are no hotels and resorts here, so most visitors stay at the homes of hospitable residents. While not as massive as the Hoover Dam in Colorado, Magat Dam (Barangay Aguinaldo, Ramon town) still makes one impressive sight. At the time of its construction in the 1980s, it was the largest in Asia. A tourism resort complex has since been built, allowing visitors have a picnic, and even take a boat ride in the reservoir lake with waters supplied by the Magat River, a tributary of the mighty Cagayan River. Magat Dam supplies both hydroelectric power to the province and helps irrigate its farms. For a different kind of dining experience, drop by Josie Panciteria (13 National Highway, Purok 7, Anao, Cabagan, near the Milagros Hospital. 0919-2509140) for her Pancit Cabagan made more savory because the broth she uses is made from boiling pork bones all day. A teacher, Josie Taron also makes pure dark chocolate balls from the cacao seeds she purchases from her students; the balls can be mixed in hot water to make a chocolate drink, or eaten as is, like dessert. So every purchase of these chocolate balls also helps Cabagan students stay in school. Truth to tell, there are very limited choices for accommodations in Isabela, offering only basic facilities and amenities, with inns mostly run by families. Among those recommended by the DOT are: Amity Inn (National Highway, Cauayan/ 078-652-2010); Grand Cauayan Hotel (Don Ancilliary Street, Cauayan 078-635-2023; Queen Jennifer Hotel & Restaurant (National Highway, San Fermin, Cauayan/078-652-0066 or 0077); Hotel Romans Ville (Rizal Street, Centro, Ilagan/078-624-2029); Marjs Hotel (Gangan Avenue, San Vicente, Ilagan/ 078-622-3599); and San Antonio Hotel (12 Burgos Stree., Ilagan/078-624-2170). You may want to drive the four hours to Tuguegarao City instead if you plan to stay only overnight. Stay at the new Villa Victoria Hotel (11-a Highway Pengue-Ruyu Tuguegarao/078-844- 0436) with its clean and tastefully-designed rooms. Love its crispy fried chicken. Cebu Pacific flies to Cauayan, Isabela every Monday, Wednesday, and Friday. Cyclone Airways flies from Cauayan City to Palanan every Tuesday, Friday, Saturday, and Sunday. By land, you can take the bus to Isabela via Victory Liner, GV Florida (T# 352-5393), and Baliwag Transit (T# 912-3343/912-3361).